September 4, 2013  A federal judge has stepped in to push the Veterans Administration to do more to help homeless veterans at its massive West Los Angeles campus. September 4, 2013  When is an inpatient in the hospital not an inpatient in the hospital? When that patient is on observation status. Patients who are termed on observation can have trouble getting Medicare to pay if they need to go to a nursing home. 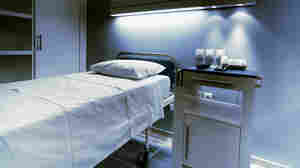 The practice has sparked lawsuits and legislation. 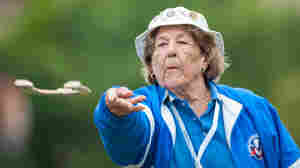 July 31, 2013  The National Senior Games taking place in Cleveland have some sports in common with the Summer Olympics, like track and field, basketball and swimming. 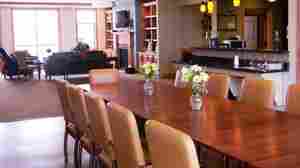 There's also shuffleboard and horseshoes. And this year, there's a new sport, pickleball — a tennis/pingpong/whiffle ball hybrid — that's growing fast. 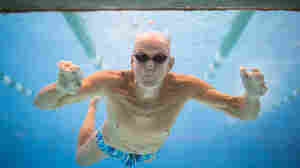 July 26, 2013  Swimmer Graham Johnston, who's in his 80s now, is competing in the Senior Olympics in Cleveland. He's been swimming all his life, including competing at the 1952 Olympics for his home country of South Africa. Even at his age, he still trains five to six times a week. July 24, 2013  One thing most people dread as they age is ending up in a nursing home, where they imagine they'll have to deal with sharing a room, rigid schedules and bad smells. But the Green House Project, an alternative to traditional nursing homes, is trying to change that. Its founder says he wants to "abolish" the old, often lonely model. July 5, 2013  Some famous writers, painters and musicians have done some of their best work in their later years. But at a pair of retirement communities in California, older people are proving that you don't have to be famous — or even a professional artist — to live a creatively fulfilling life in old age. July 1, 2013  Democrats who want to change the dynamics in Texas are turning to California for inspiration. Here's a look at how things went so wrong for the Republicans in the Golden State. June 29, 2013  Pansy Greene, 73, is still in the early stages of Alzheimer's. She and her husband, Winston, describe their "journey," a term they use to refer to much more than Pansy's struggle with the disease. June 7, 2013  Southern California Edison announced Friday morning that it will not restart the troubled San Onofre nuclear power plant. The facility has been offline for a year and a half after a leak in a steam tube created safety concerns. 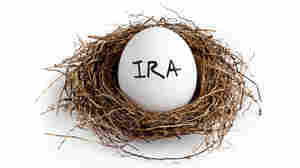 May 1, 2013  Studies show that when participation in a retirement plan is automatic, more people save. 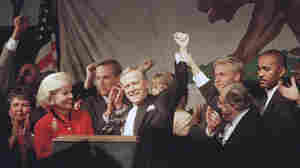 President Obama has proposed automatic IRAs for some employees, a version of which was adopted in California. But business groups argue that requiring employers to implement them is not the right way to go. April 10, 2013  Shane Reams owes his freedom from prison in no small part to his mother's 17-year campaign to change California's tough three strikes sentencing law. Sue Reams' work is not done, she says, not when people are still in prison "for stupid things" like stealing baby food. April 1, 2013  The fashion industry is sometimes criticized for unrealistic portrayals of young women. But if you're a woman older than 60, there are almost no portrayals, realistic or otherwise. 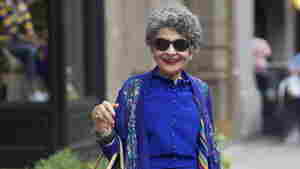 Now a fashion blog called Advanced Style has made stars of some of these older fashionistas, including a 93-year-old who says the spotlight makes her feel like she's "part of the world." March 14, 2013  After nearly 30 years on the Chicago police force, Richard Piña, 69, now owns Rich's Den in Calumet City, Ill. He had other businesses during his police career — hair salons, a taco stand, a rooming house. "I don't want to say I was an entrepreneur, but I was a hustler," he says. March 6, 2013  Sometimes you can't retire even if you want to. For Dian Sparling, a nurse midwife, there's no one to take over her practice. But at 71, delivering babies on call is harder than it used to be. "It would be horrible if I had to do this and stay up all night and I didn't love what I do," she says. 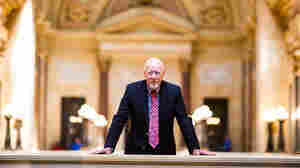 February 27, 2013  Elected in 1956, Wisconsin state Sen. Fred Risser is the longest-serving state lawmaker in the country. He may not use Facebook, Twitter or email, but he's gotten a lot done over the years. Considered an "institution within an institution" by some, he was just re-elected for another four years.